I'm having a fun time signing up for swaps. It's a great way to meet new bloggers. Sure, you have to invest some money into it but you hope that you will get something great in return. I just heard about another swap and guess what, you have two more days to sign up. 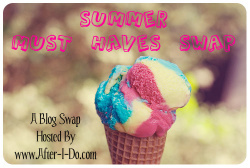 Join the Summer Must Haves Swap over here. The week after a vacation is always tiresome. You are playing catch up at work, you are tired and adjusting to the grind. There's loads of laundry to be done and no food in the house. There's also blog reading/commenting to catch up on, as well as all the TV shows we missed. I was so excited for Friday to arrive. I capped off my week with two drinking dates. Thursday at at Ten Restaurant with some girls I get together with once a year, Kathy, Stephanie and Aileen. We ate tons of appetizers because it was 1/2 price happy hour and %5 martinis. Friday was beers and more appetizers with Maureen. For the rest of the week, I plan to do everything I mentioned before but so far, I have done nothing but laundry. So before I go back to my "chores", let's fill in some blanks over at Lauren's blog. 1. I am looking forward to my five year wedding anniversary. I love vacationing with my hubby, whether we do a city trip or another beach vacation, we ALWAYS have a good time together. 2. Something kind of embarassing that I still love anyway is the movie Can't Stop the Music. It's about the Village People. Yup, kinda embarrassing but I have the movie and the record album. 3. My favorite car is a Cadillac Escalade. I don't know why but I just like them. I don't drive but I bet you if I did, I wouldn't be able to drive it. 4. 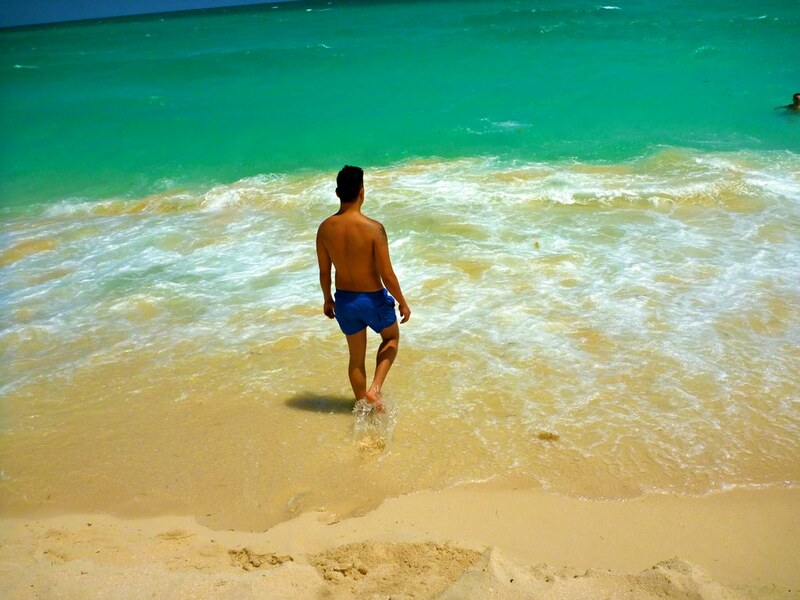 If I could pick one type of weather to live with for the rest of my life it would be hot and humid weather, as long as I am living close to a beach. But if I am living in Toronto, I just want hot weather so I don't have to ever wear socks and deal with rain and snow. 5. My favorite thing to do after a bad/stressful day is drink. Alcohol solves all problems. Just kidding, that made me sound like an alcoholic. But drinking is a great stress relief and a way to wind down. 6. This weekend I want to watch Water for Elephants but I am waiting for someone (yes, that means you Mike!) to finish the book. Have a fabulous weekend!!! I can't believe tomorrow will be May. Hopefully with May rolling in, the April showers will stop because I am having a difficult time wearing close-toed shoes after being in Cuba for a week. 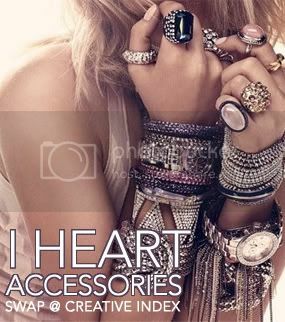 A month ago, I joined this I Heart Accessories Swap that the lovely Jessica from creative index was hosting. I heard about this swap through Joanne at pinkalicious-j and ironically enough, we were assigned swap partners. I received two cute necklaces from Joanne. They are both something that I wouldn't normally pick out but you know what, I love them both because they are so different than what I currently have. So, when I opened up this package, I noticed that one of the necklaces would actually go with what I wore to work that day so I did one of those stand in front of the mirror poses but covered my face. hahaha! I normally only do these types of photos because I want to how my friend Maureen something I am wearing. The photo is hilarious, I think. Thank you so much Jessica for organizing this accessories swap and thank you Joanne for the necklace. I really like them and hope to wear one to work tomorrow. It's another dreary day with all this rain and fog. Hopefully you are somewhere where it's warm and sunny. It's been difficult coming back from a sunny, hot vacay to this weather, I guess it's made me appreciate my trip to Cayo Santa Maria a bit more (lol). Anyway, this is the first time I have opened up my laptop since I got back early Sunday morning. I have blogged from work and tried to catch up on tweets and blog reading through my iPhone. I am slowly getting back into the social groove. So, on this yucky hump day, I would like to share with you this funny video Mike and I watched Monday night. It's an old clip from an Ellen show but I hope it makes you smile today. Yes, coming home was bittersweet. Normally when we go away, when we finally reach our departure date, we always say we are not ready to go home and could use a couple extra days. This time, halfway through our week, we were ready to go home. Mike was miserable and he is never miserable on vacay. 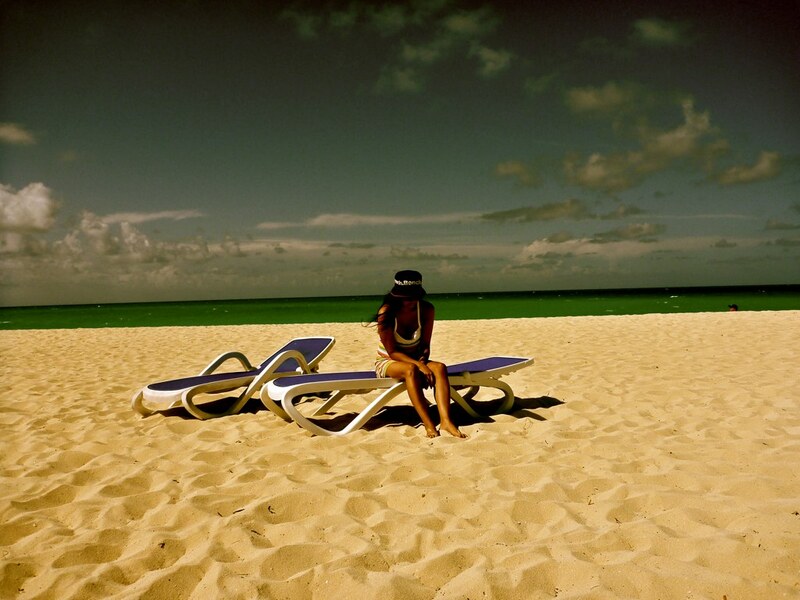 We were stressed out because the towel saving chair game is a huge hit at Melia Cayo Santa Maria, if you weren't at the beach bt 9:00 am, there was no way you would get a palapa, let alone a beach chair. 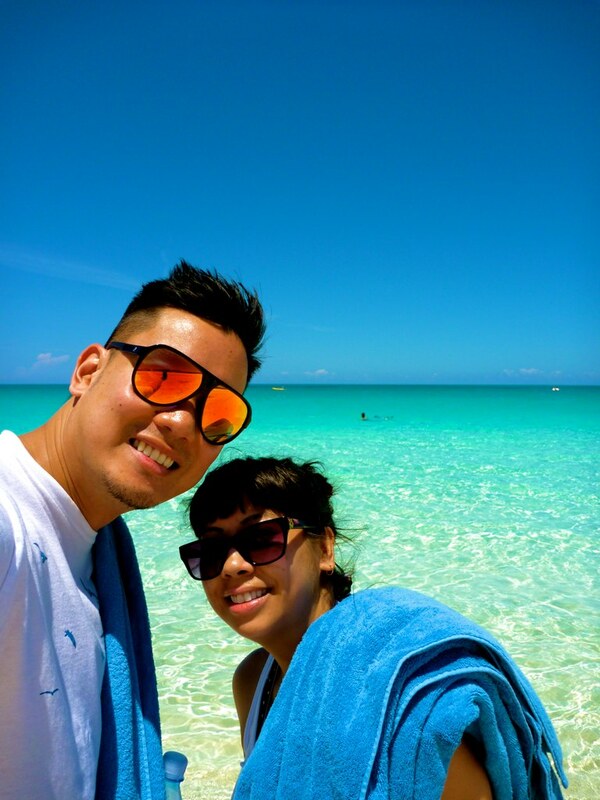 We got to relaxed and it was nice to get away to beautiful, hot weather. I don't want to complain because we are lucky that we get to go away but never again will we stay at a resort below five stars (I don't care if it's free or not). I don't want to come off as off-standish or snobby but you get what you pay for and since it was free, well, you get what I am trying to say. There were so many flaws about this resort and I will be writing about a review for our travel blog but for now, I'll leave you with some photos. So, when you ask us "How was your trip", we will say, "It was free" and we will leave it at that. I'm glad to be back. It's difficult adjusting after not being online for over a week. Being at work is more difficult but at least it's quiet. I can't wait to go home and catch up on more shows that I missed but I am not looking forward to all the laundry I have to do. I hope you enjoyed the week of product reviews I did last week and also that you had a wonderful Easter weekend. I look forward to reading all the blog posts saved on my google reader. Although I liked the social media break, I feel so out of it! I got this face wash as a giveaway on a blog and it's part of the Healthy Skin Detox for Body Kit. I didn't get to use the body wash since my hubby used it all up and I thought the body lotion was okay. It's not moisturizing enough for my dry skin. But this foaming face wash is a gift sent from the heavens. It works for both different types of skins, which my hubby and I have. Him - oily, me - dry. I like that we can use just one product to clean our face rahter than buying two separate ones catering to our skin type. It's a very light and gentle cleanser and you only need to use very little despite it's foaminess. It's definitely lasted us more than 30 days. Would I buy this product again? Of course, for $18, I rather buy one cleanser than buy two at the same price. It's saving me money. If you are interested in purchasing this product, you can do so from the Consonant Body website or why not support my BFF's boutique and buy from her. Every once in a while, I like to spoil myself with some LUSH treats. Usually it's bath bombs and soaps but I have decided to expand my horizons and explore other products LUSH has to offer. I bought this shampoo bar because believe it or not, my husband asked me too. We were currently using Pantene and found that it was drying out our scalp and also flaking. I spoke to one of the salesperson at the store and told her that I wanted something manly, and she recommended Squeaky Green. I was a little skeptical in buying such a little thing for $9.95. We have had this bar for well over a month and it looks like we haven't even touched it. You only need very little before it suds up and I have very long hair. I am always in search for new hand creams. I had a 25% off coupon to try body/skin products at LUSH, so I opted to try their handy gurugu hand cream since it retails for $16.95. With the coupon, I saved a bit. You only need very little because it's filled with nut butters and essential oils. It reminds me of the body butters from The Body Shop. I know that when winter comes around again, this hand cream will definitely be a staple in my bag. It applies heavy but the moisture stays on even after you have washed your hands. It also softens ragged cuticles. 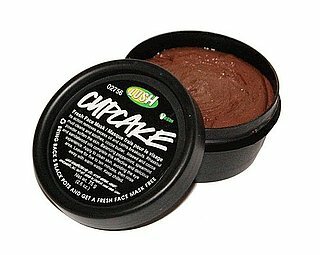 This mask actually smells like a cupcake and looks like chocolate frosting. I'm not gonna lie, I am tempted some times to just eat it out of the pot. The mask has ingredients such as Rhassoul mud to clean and sooth your skin as well as cocoa butter, linseed and cocoa powder to soften the skin. All in all, it removes excess oil and calms breakouts. I originally bought this for my husband but have started to use it for my forehead since I get pretty oil in that area and break out because of my bangs. 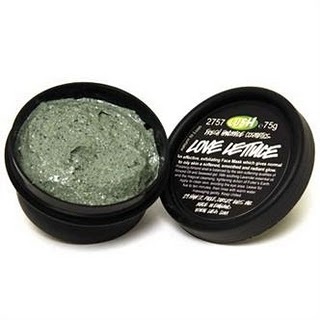 This lovely green mask has ground almond shell with almond oil and seaweed gel that polish and soften the skin. 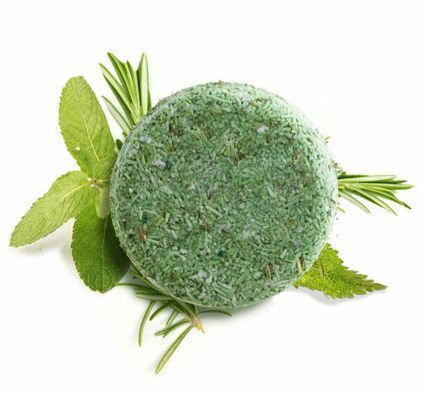 It also contains soothing lavender essential oil. This mask is great for those with dry skin. That's me! I use this for the rest of my face and once I rinse and massage gently, it leaves my skin sparkling clean. What great about these products that come in a black pot is if you bring back 5 of them, you get a fresh face mask free. With the two face masks and hand cream I purchased, I am already over halfway to getting a new mask. There are so many other masks that I would like to try. Just remember to keep these masks in your fridge and use it up 2-3 weeks after you have purchased it. How often do you give yourself a mini-facial? I received this body wash at BlushPretty's Beauty Board. I typically love all of Olay products but this is one product that I wasn't happy with. Although it claims it has ﻿moisture ribbons, mandarin oil and that it will hydrate your skin, I found that it left my skin extremely dry. I am talking about dry beyond belief, more drying than using that nasty pink soap found in most public washrooms. I was quite disappointed in Olay but it won't prevent me from trying their other body washes. The great thing about attending the Beauty Board is that you get to try out lots of products without having to waste money trying something you may not like in the end. Have you tried this body wash? Did you like it? I get my brows done at the Benefit Brow Bar once a month and sometimes, I get samples to try. I went back to the Benefit counter to buy the full size product of Stay Don’t Stray and luckily for me, they had a special gift with purchase. If I spent over $50, I would get a gift which included Stay Don’t Stray, That Gal and Sugarbomb Box ‘o Powder – all full sized products. This was a deal I couldn’t pass up. So I bought Boi-ing and High Brow (I will review each of these products except for Sugarbomb which I gave to my mom). I first tried this product when I was given a sample of it. The sample that I received came in a container that made the application so easy to apply. 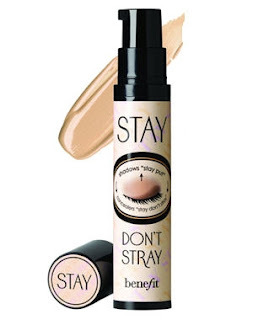 Stay Don’t Stray is a primer for your eyes, it makes concealers and eyeshadow stay put. Now with the full size of Stay Don’t Stray, the container is ENTIRELY different. It comes in the form of a pump, which I hate because I find that too much product comes out and I end up wasting a lot. The sample version came with a applicator tip which allowed for you to apply by adding dots around your eye and then blend. Despite my dislike for the packaging, I still love the product. 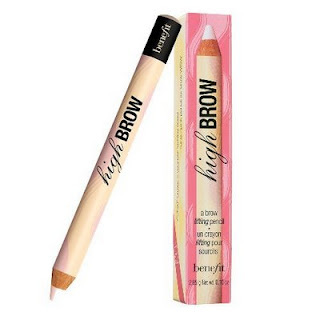 The formula blends well and definitely brightens up my eye area and primes for the concealer I apply after. I also find it helps keep my eyeliner and mascara from running onto my face. Will I buy this product again? I will decide that when I run out. As much as I love it, I don’t love the airless pump feature. I bought this heavy-duty concealer when I had my bout of adult acne in the fall. I was breaking out a lot and not to be gross, I picked at my acne too which left some lovely looking scars. I needed a good concealer that would cover these scars, as well as the redness under my nose and the dark shadows under my eyes when I don’t get enough sleep. 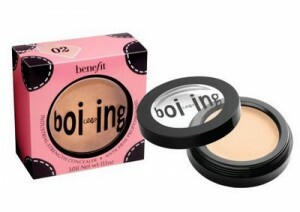 When you warm up this warm before applying it, it does wonders and covers every little blemish, it doesn’t come off either, it stays on all day. Will I buy this product again? Yes. It’s the best concealer I have tried so far. This face primer definitely smoothes out and brightens my face. I think it worked well with my skin in the winter months when my face was dull and colourless. As summer approaches, I will have to see if it will work with my tanned skin (I may switch over to Girl Meets Pearl for the summer). I used this primer every morning after my moisturizer settled in an absorbed and it made for a wonderful base before adding my concealer, bronzer and highlighting powder. Now you know my secret as to why I look like I am 25. I cake on the makeup but do it in such a fashion that doesn’t look like it’s caked on. Will I buy this product again? Yes. I am actually quite addicted to it. I don’t think I have gone one day without it. 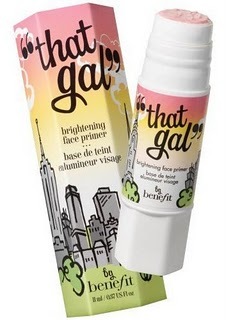 Even if I don’t have time to put on makeup, I will at least apply That Gal to brighten my face. Recently, I have decided to go with the really short blunt bangs look. This totally exposed my brows. Since I don’t wear eyeshadow or mascara every day, I wanted something to highlight and draw attention to my eyes besides the usual eyeliner I wear. High Brown adds an instant lifted look to your eyes. Again, if you don’t have time to do a full on make up application, High Brow, That Gal and an eyelash curler are three tools to get you through the day. Will I buy this product again? Probably not. The pencil will last me for some time and by the time I need a new one, I will probably have a different hairstyle by then. Do you have a favorite Benefit product? If you do, please share. 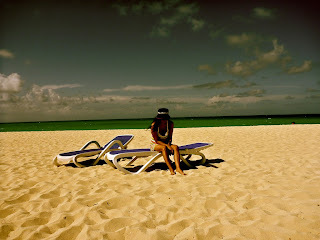 I thought that with me going on vacation, I would take a little break from emails, tweeting and blogging. Well, while I am away, I won't be checking emails or tweets but I have lined up posts for four days next week all dedicated to beauty product reviews. Sorry if I have guy readers out there. Work was slow for me so I was able to write up some posts and schedule them. I can't wait to share some photos with you when I return. I won't be doing anything exciting except for reading, eating, drinking and just soaking up all the heat and sun I can get. 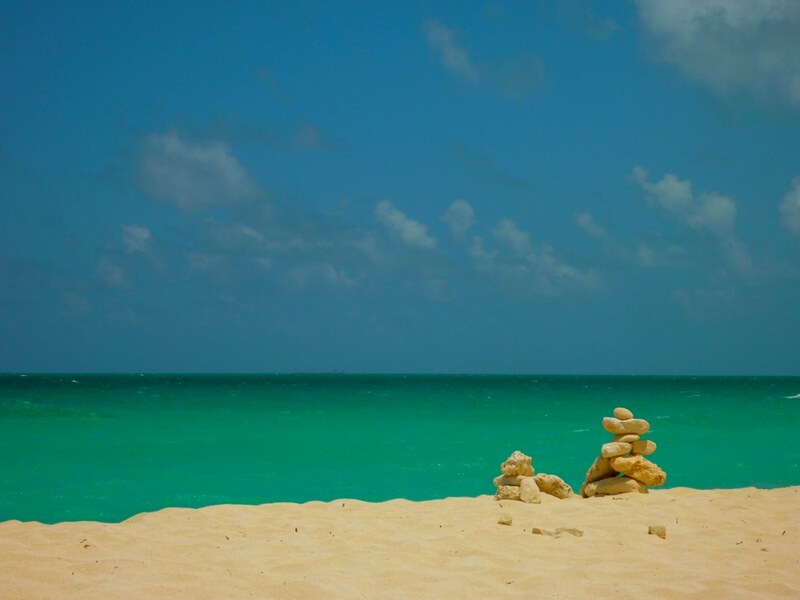 Did I mention that it's going to be 31 but feels like 39 in Cayo Santa Maria? Thank you all for your suggestion as to what colour I should paint my toes. I went with Special Request. I hope you lovelies have a great week! p.S. - our flight is delayed 35 mins and it's probably because of this rainy, cold weather. Yay for Friday! It's finally here! 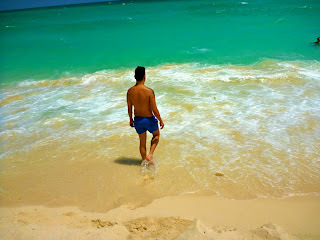 This week dragged for me, and maybe it's because, I'M LEAVING FOR CAYO SANTA MARIA TOMORROW!!!! Not rubbing it in or anything but since it's cold today (again), I can't wait to get to a place where it's actually hot! I have got all my books lined up to read and all my cute little outfits to wear with my new yellow wedges. It's only 10:43 am and I wish the work day was over so I can get home to finish up my packing. I hope everyone has a great weekend. Just remember that next week is a short week and a long weekend. Hooray! 1. My favorite daily responsibility is blogging and tweeting. I really don't have too many responsibilities since I am part of a carefree, child-free home. I guess chores are a responbility but they aren't fun at all. 2. My least favorite daily responsibility is waking up and getting ready for work. If I had a job I actually liked, waking up wouldn't be so bad. 3. My favorite cuisine to eat when going out is sushi and it's only because it's too hard to prepare it. 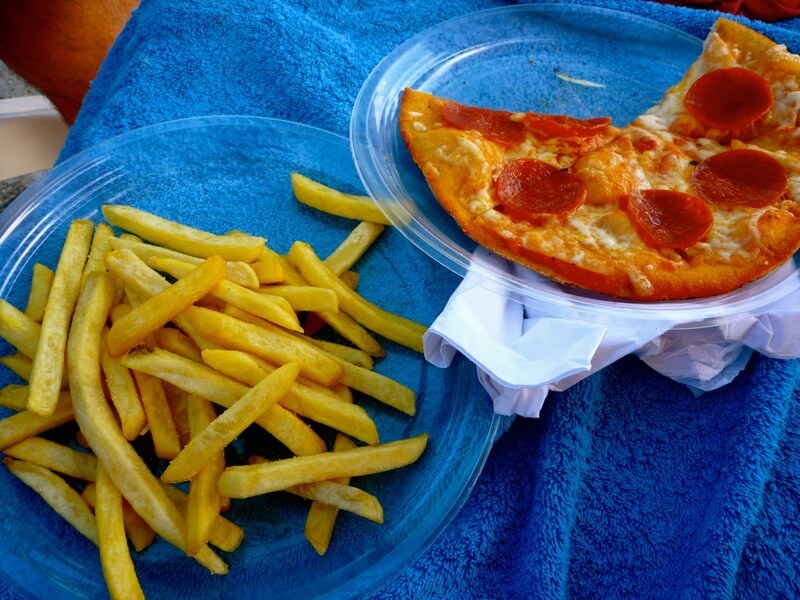 But these days, I am seriously loving pizza. Wait a second, I should answer properly, my favorite cuisine to eat when going out is Japanese and Italian. lol! 4. My favorite cuisine to prepare at home is nothing at the moment. I am not enjoying cooking at all. I rather eat out --> see #3. 5. Andy Warhol said that everyone is famous for 15 minutes. My claim to fame is winning the free trip I am going on tomorrow. Since I won, my name was announced on their website, does this count? 6. If I could have 3 wishes I would wish for lots of money, my brother to be alive and 3 more wishes. 7. My biggest pet peeve is boys with long fingernails, people who clip their nails at work, girls who wear short pants, people who chew loud, this list could go on and on so let's just stick with the first one, boys with long fingernails. Don't forget to join in the fun today, c'mon I know that you are bored at work or need a little break. Link up over at Lauren's blog if you participate. My mom is the sweetest, she sent me a box filled with goodies. I can't wait to dive in and eat up these oreos and chocolates. You know I will be bringing some to Cuba! All sorts of Oreos that we definitely don't get in Toronto. I can't wait to dive into the Peanut Butter ones. I haven't been to Vegas since 2008 and I was there for my mom's wedding but apparently when you go to Vegas to actually party, there's always a "song" that will remind you of your time there. There a lot of "Vegas" songs that I like right now but I have a feeling that it might not be played in Vegas because it's still months away. Maur and Mike assured me that even if a song is old, they will still play it in the clubs. I am hoping Brit's Till the World Ends or LMFAO's Party Rock Anthem or the song below will be playing when I finally reach Vegas. I'm so in love with this song by Far East Movement. I hope it's all I hear when I am in Vegas. I plan to bring these books with me to Cuba. I know they are all books but the common theme here is that they are all becoming movies soon. 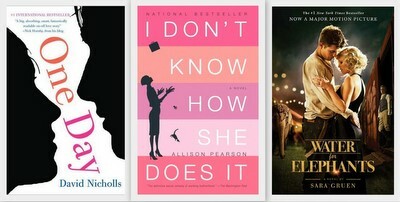 Water for Elephants on April 22, One Day on July 8 and I Don't Know How She Does It on Sept 16. Happy hump day! How has your week been? I'll be taking them to Cuba with me. My stylist and I put together some cute outfits to go with these wedges. I can't wait to wear them! 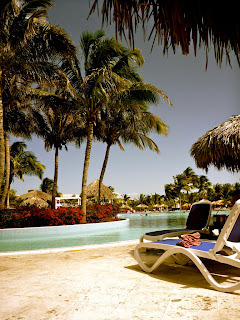 Okay blog readers, six more days until I leave for Cuba. I opted out of paying for a pedicure and gave myself one on the weekend (since I don't drive it's tough for me to get a pedicure and have my toes painted when I can't go home in flip flops yet). 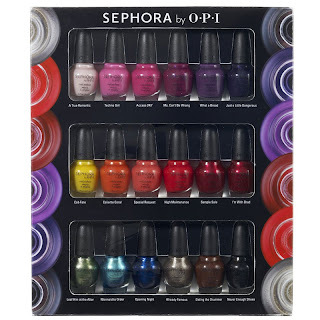 I didn't paint my toes just yet, I am waiting until Thursday night to do this but I need your help. If you have followed along with my nail polish challenge, I have tried 10 of the 18 in the set. The last 8 colours are all dark shades so I will continue with the challenge when I come back from vacation. I really should have started it backwards with the dark colours in the winter time. I asked Maur to take this photo to send to 26er to make him jealous. He loves chocolate as much as we do. Saturday at noon, Mike and I took my dad to Oliver & Bonacini at Oakville Place for brunch. I ♥ brunch so I wanted to give them a try since I enjoy their dinner menu. It was okay, nothing really wow'ed me. I rather stick to eating at O &B at night. After brunch, Mike and I FINALLY went to Yorkville because I wanted to buy these wedges at Cole Haan. I could have easily bought about 10 pairs of shoes but I was good and limited myself to one pair. I will post about the pair I bought in another post. After walking around for a couple of hours, we were walking back to the car when Mike saw a restaurant he read about, Yamato Japanese Restaurant. We eat a lot of sushi, anywhere from all you can eat to cheap places to moderate priced to even expensive sushi. I was hesitant on eating at Yamato because there wasn't too many patrons and it was a bit pricey for lunch, but boy, was it good. I forgot to take a photo of our Sunomomo salad and fresh oysters with ponzu sauce but I did remember to take a picture of our other two dishes. Let me tell you that the sashimi just melts in your mouth and same with the maki roll we ordered. It was totally worth it! Finally we ate at home. Mike made us sort of a hot pot soup. Our first batch did not turn out, I don't want to even describe what happened because we are so disgusted by it but second batch was delicious. Back out again on Sunday morning. Mike and I hibernating all winter and with the warm sunny weather, we went out both days. This time lunch was at Alice Fazooli's. Mike just ordered a salad and calamari. The sauce for the calamari was delicious. I was craving pizza again but I got confused with what Gorgonzola cheese was so I did not enjoy my pizza as much as I would have liked to. I think that the pizza had potential if they took out the gorgonzola. Maybe next time, I will just stick with what I know. So that is how I ate through my weekend. The funny thing is on Friday night, I couldn't figure out why all my food photos were coming out blurry. I thought that maybe my phone is getting old and overused. It wasn't until Saturday afternoon at the Japanese restaurant did I realize that there was a bunch of gunk on the len. Once I cleaned it, I was able to once again take clear photos. I'm so glad it's Friday. It's been a long week but it's only a another week until I am off to Cuba. 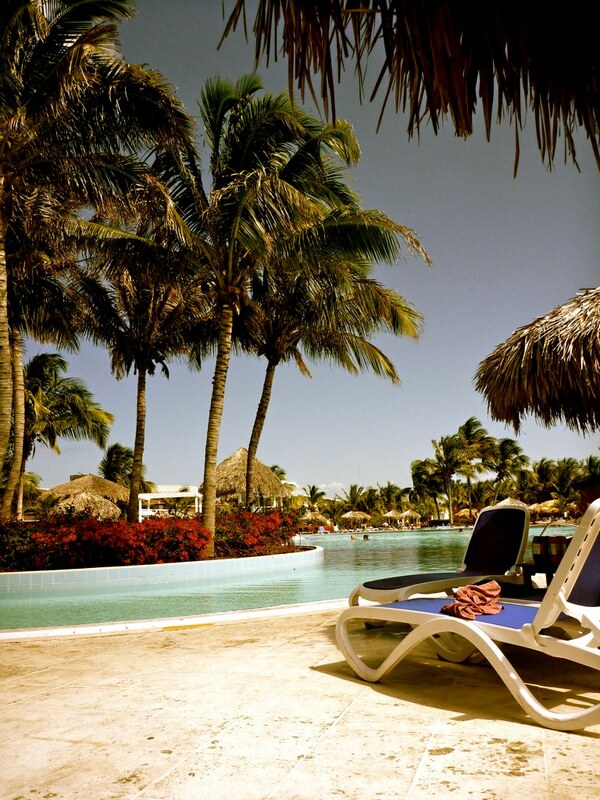 I totally need this vacation, plus it will be nice to get some hot sun while it's still cold here in Toronto. Did you see that snow last Sunday night? C'mon it's April, it should start to get warm. Now before I head off with my friend Maureen to go have some Nutella fritters with gelato (not to mention some pizza too - I ♥ pizza these days), I will let you know what's been up with me and what I plan to do for the weekend. I can now seriously do 10 push-ups, not girl push-ups, I am talking about man push-ups. Before I couldn't even do two! Wednesday after work I got a massage (a well-deserved one I might add) and for once in months, I slept through the night. Almost every night I wake up at 3 am and just lie there with my iPhone because I can't get back to sleep. Well, last night I also had a full night sleep so I think I am on a roll! I am really into The Mortal Instruments (click here for more info on these books). After reading The Hunger Games, I wanted to read another young adult trilogy and my sister-in-law who teaches high school students, got the recommendation of City of Bones. I read the first book over a weekend and then the second book, City of Ashes over the week and now I am on the third, City of Glasses. Again, not a series I would think to read since it's all about Shadowhunters, werewolves, vampires and demons but it's interesting. Plus, it's going to be made into a movie. Check it out if you are looking for something to read. I am 10 days into my whole body cleanse. I have lost two pounds so far. I wasn't really looking to lose weight (okay, who am I kidding, I was but it's not the main reason), I just wanted to get rid of the nasty toxins in my body. I spoke to my BFF about something that's been eating me up for months and it's a huge weight lifted off my shoulders. It's not like we had a fight or anything, it's just nice to know we are all cool again. I received an unexpectedly call from the lovely, Elisse on Tuesday. It was really nice to finally talk to her over the phone after close to two years of only communicating through blogging, emails and twitter. I can't wait to finally meet her in July. Now for my weekend, I will be going for brunch tomorrow for my dad's birthday, then maybe some shopping with Mike. We also have to do our taxes and pack for our trip next week. Happy weekend everyone! p.s. 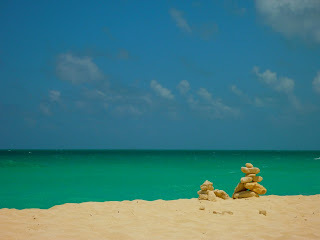 - Happy travels to my friends, K & M who are heading off to Turks & Caicos with their little monkey and C.P. who is off on a cruise next week. I wasn't sure if I wanted the necklace until the owner told me that I could flip it around and wear it this way. After that, I was sold! I had a lot of fun. I would have liked to have taken my time and really looked at each booth. Although most things are hella expensive, it's nice to see all the creativity in the building. One exhibitor whose stuff I really liked was Marmalade Designs. I wanted to get something for my dear blogger friend, Elisse since she loves owls so much. Now it's like her obsession with owls has turned into my obsession too. Since this necklace adorable? At least I know the designer is in Toronto so I should have no problem if I decide I want to order a piece from her. Did you go to the One of a Kind Show? What exhibitor was your favorite?